Did you know that your finances can affect how–or even if–you serve in the military? A lot of recruits find out the hard way that if they have a poor credit rating, most branches of the military won’t even give you a shot at boot camp. Credit Repair is possible to get you into the recruiter’s office. Each branch of the military checks a candidate’s credit history. It’s a standard part of a background check. Each branch has its own guidelines, but in most cases, late payments, bankruptcies, collection accounts, and sky-high debt will negatively impact your military career before it even begins. Recruiters are sympathetic if you can provide a good explanation for your financial woes. Even if your credit is “just barely good enough” to pass muster, your credit score can affect your security clearance for your entire military career. You may be ready to “Be all that you can be,” but that won’t be very far! You may be wondering: What does your personal credit have to do with your ability to serve? Consider this: How can the military trust you with highly sensitive responsibilities if you can’t follow a personal budgeting plan? Some branches of service may overlook the occasional late payment and consider each candidate on their individual merits. But when it comes to your debt-to-income ratio, most branches aren’t so forgiving. A debt-to-income ratio is a percentage of what you owe (credit card bills, car loans, student loans, medical bills, and more) compared to what you earn. In the U.S. Air Force, any recruit with a debt-to-income ratio of 40% is sent home packing. They don’t think much of bankruptcies, foreclosures or late payments, either. And the U.S. Coast Guard? As the strictest of the branches, you’re disqualified with a debt-to-income ratio of 30% –25% if they find other flags on your report! 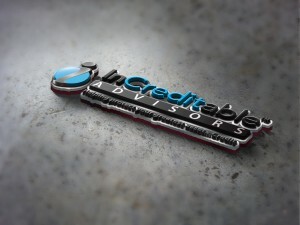 InCreditable Advisors is the only full-service Credit and Debt Counseling, Credit Repair and Debt Settlement Service in Indianapolis, Indiana. If you have the need for reliable and professional financial counseling and budgeting help or debt consolidation and credit restoration, InCreditable Advisors is here to help.